I just store mine underneath the car to save space. Use these things a ton, don't know if I could go back to jacking up a car the old fashioned way, seems so inconvenient now :). Hmmm, it's looking like this might happen! A couple more questions if I may? 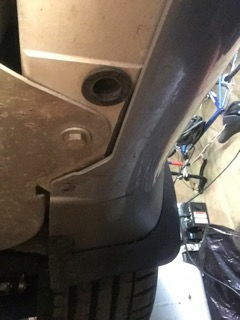 - I haven't had to jack up my "new to me" car yet and I have read some of the horror stories about it being done wrong. How does the Quickjack pick up on the car's jacking points? Does it have adjustable mounting points for different cars? 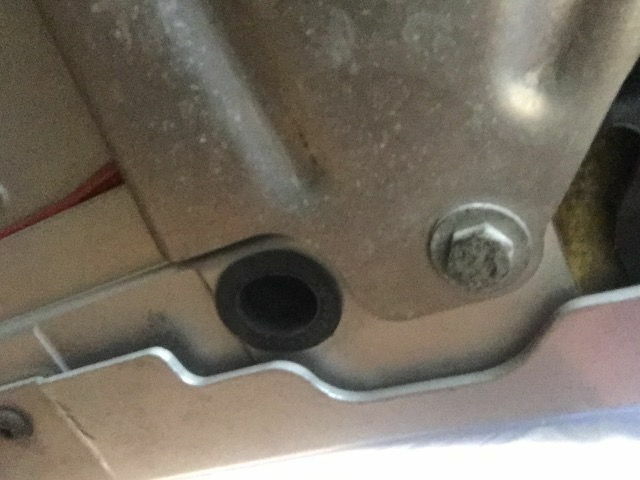 Someone mentioned using the Quickjack with custom Vantage jack fittings advertised on this forum; is that really necessary? 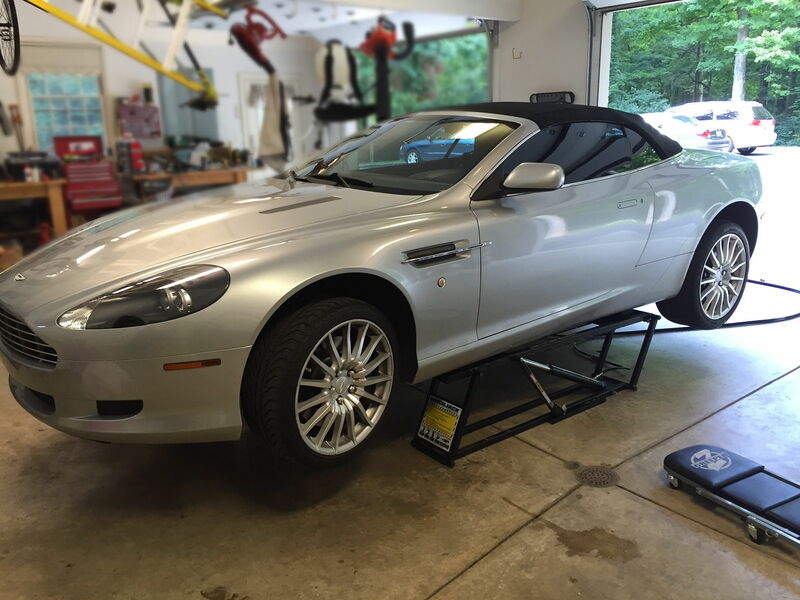 - With so many size variations, I need to pick a Quickjack model that won't be useless for other cars should I move on from the Vantage; I may eventually get another classic car. Any thoughts on which model is a good all-rounder? There are low rise scissor lifts that might work better for you. I've not used them but looked at them before deciding on the Quickjack. Here is one example:BendPakP6 With this one you can even get a version that can be flush mounted in the garage floor. Downside is that this is a bit more money...about 1k more than Quickjack, but may fit your specific needs better. On the top of each Quickjack, there is an open tray at each end. The size of the tray (length) depends on the model you pick. In this tray you position solid rubber lifting pads. You get two sets, one "Short" and one "Tall". You just position the Tall or Short pads at the points in the tray that line up with the lifting points of your specific car. The owners manual should point those out for you. 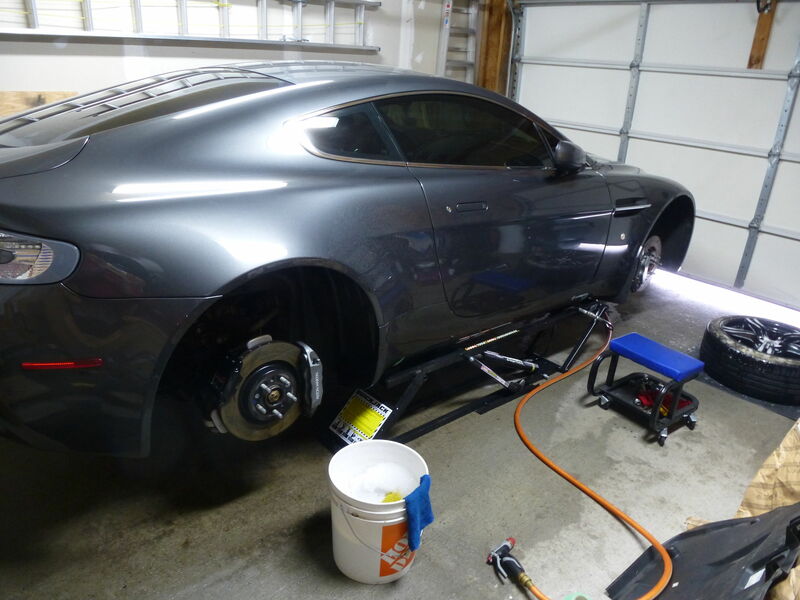 Now for the Vantage (and other AM models) the lifting points are odd shaped areas. The custom lifting pads are not necessary, but very helpful. You can use the standard pads you get with the Quickjack or blocks of wood for that matter, but you run the risk of pinching/compressing/cracking the body panel that wraps under the car at the lifting points. I would highly recommend them for our vehicles. I also bought a set of pinch weld lifting blocks on Amazon because many cars (including my kids), you lift from a pinch weld (not a flat area). As to your question about which model, that is tough because it depends on what other vehicles you have or will get. For me, a wanted the biggest version I could get so I could lift all the cars I have and my truck and SUV, so the 7000EXT was my only option. There are two major differences between the models based on my own research (I'm by no means an expert on the Quickjack), the lifting capacity and the length of the units. The SLX versions of the 5000 and 7000 are 70" long while the EXT version of the 5000 and 7000 are 76" long. There is even a 6000 XLT which is 86" inches long. I tend to buy based on the "Bigger is Better" model :), but you also have to make sure that the unit will fit between the front and rear wheel. Again, for me, even the 7000 EXT fits under the Vantage and between the wheels...it's close, but it fits. There are other differences between the units such as minimum collapsed height...somewhere between 3 - 3.6 inches and min and max distances for the positioning blocks. Now, if I haven't completely confused you, happy shopping! Thank you so much, this helps a whole lot!!!!!!!!!!! Will be in contact in a few weeks. Just ordered a BL-5000SLX from their website. Used the code "MONEY" mentioned in another thread for a $100 discount. Looking forward to using my new toy on my new toy. Thanks for the heads up. Went ahead and ordered one as well. Just seen an advert for the $100 off for this month (HOLIDAYSTEAL) @ quick jack. And as always free shipping. If you have the room, I prefer the 4 post route with sliding jacks in the center. All the benefit of lifting the entire car up off the ground (or lift) to do wheel/brake work but also protects my back more and has added another space in the garage!